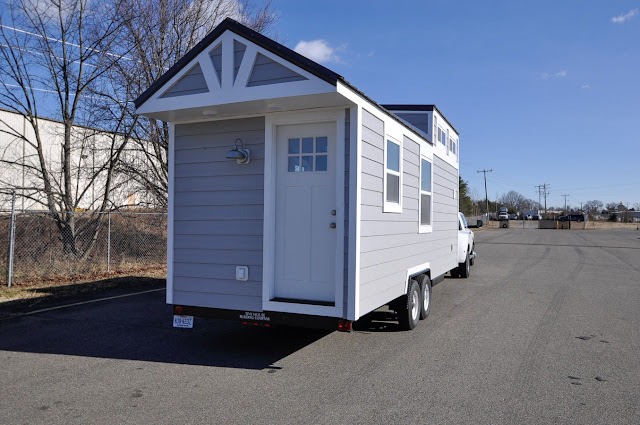 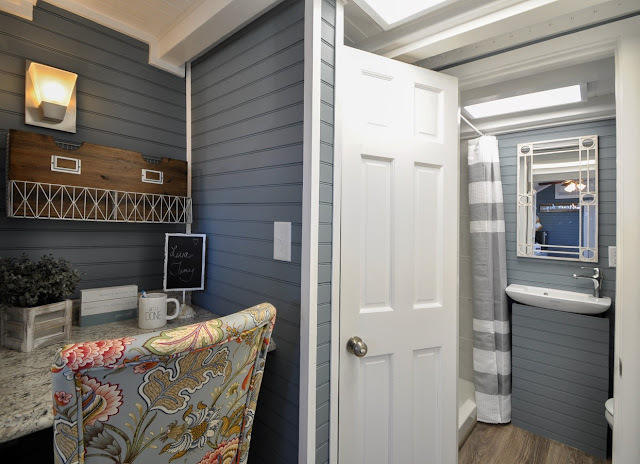 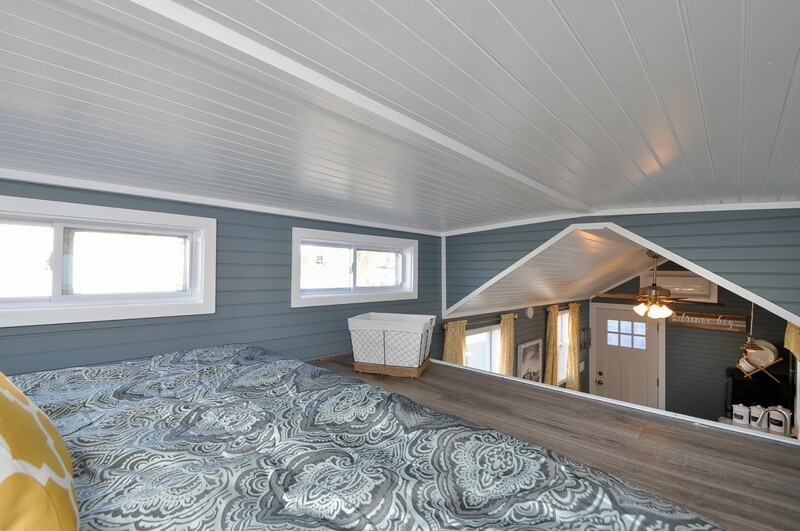 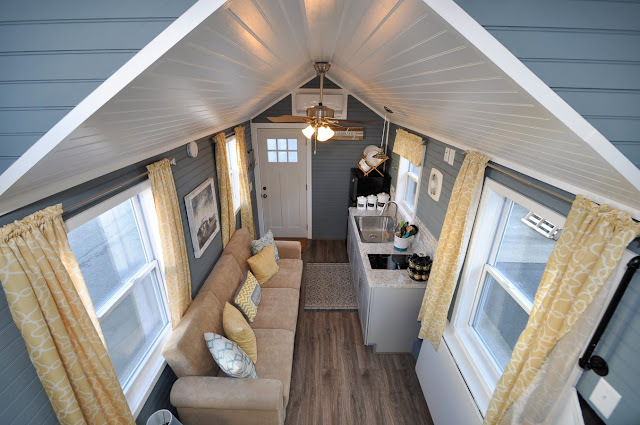 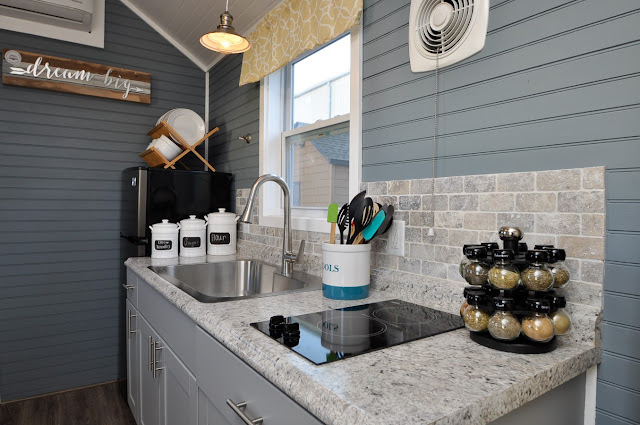 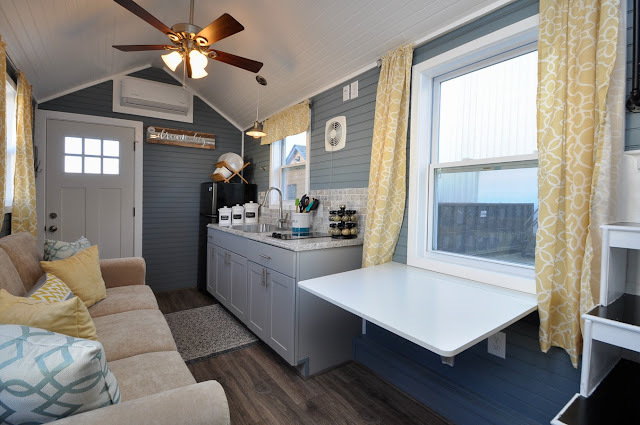 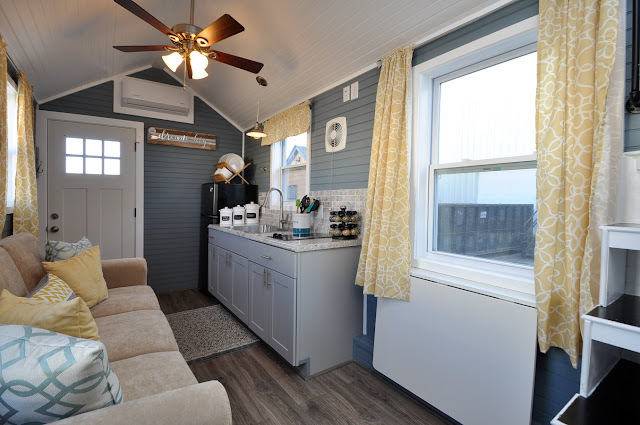 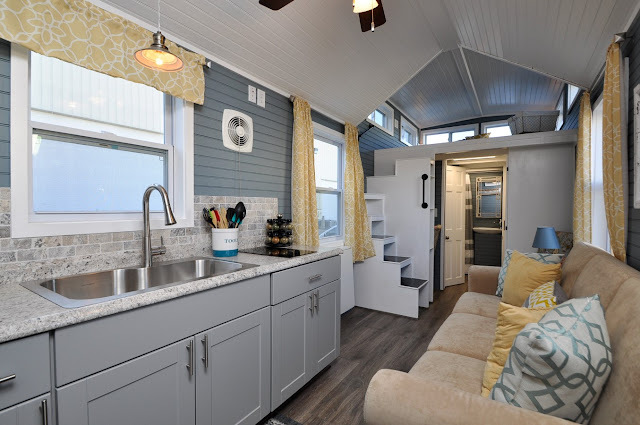 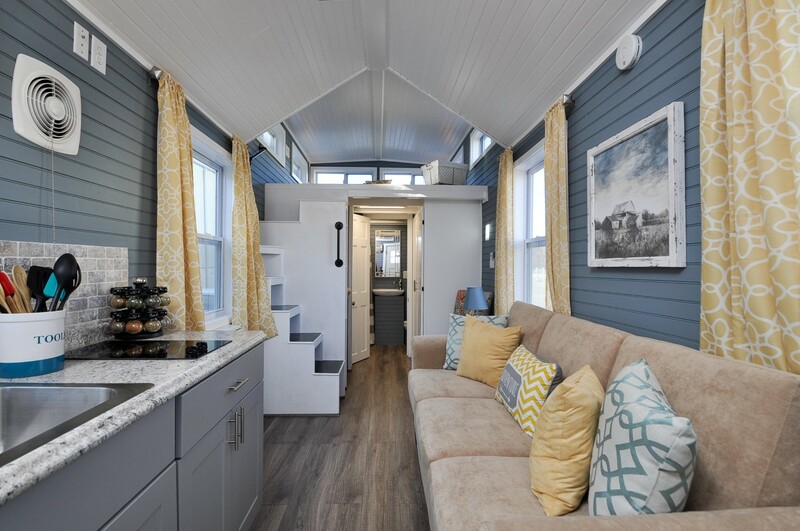 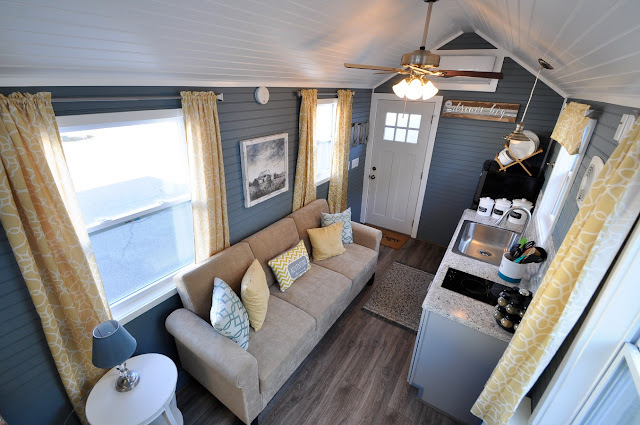 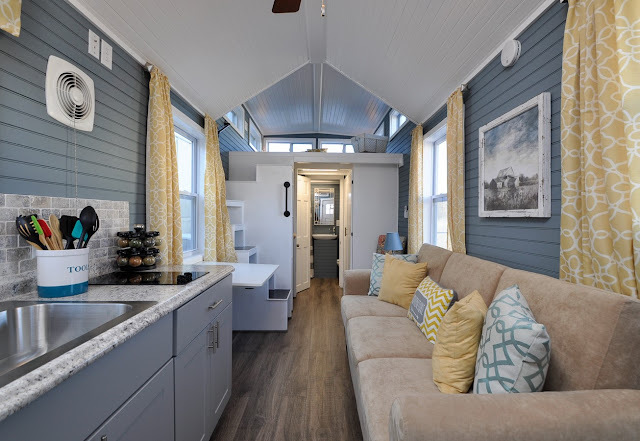 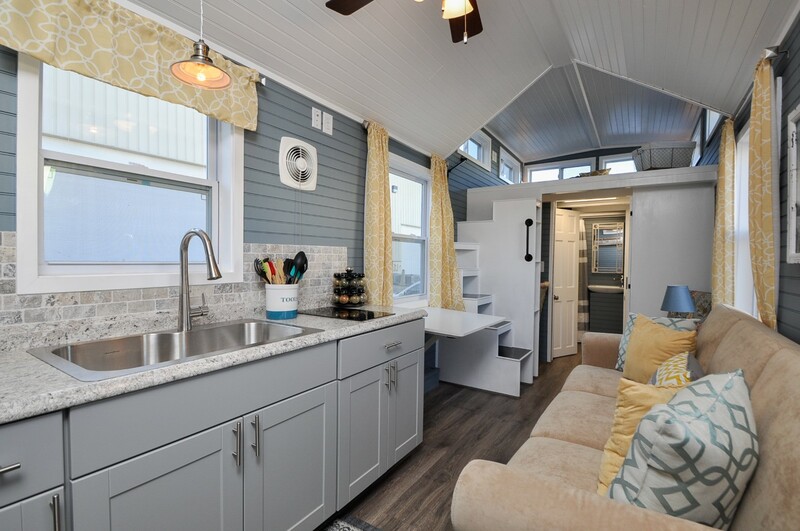 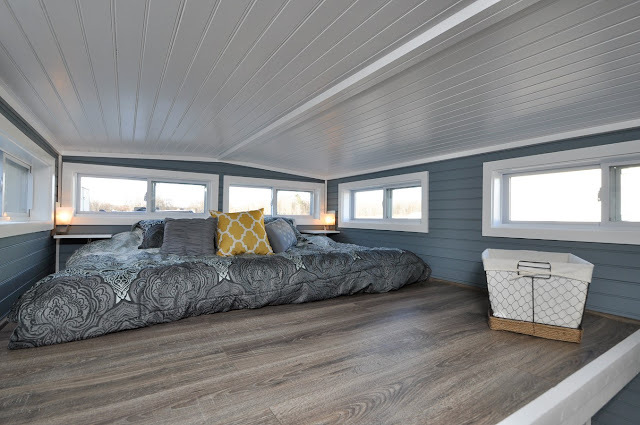 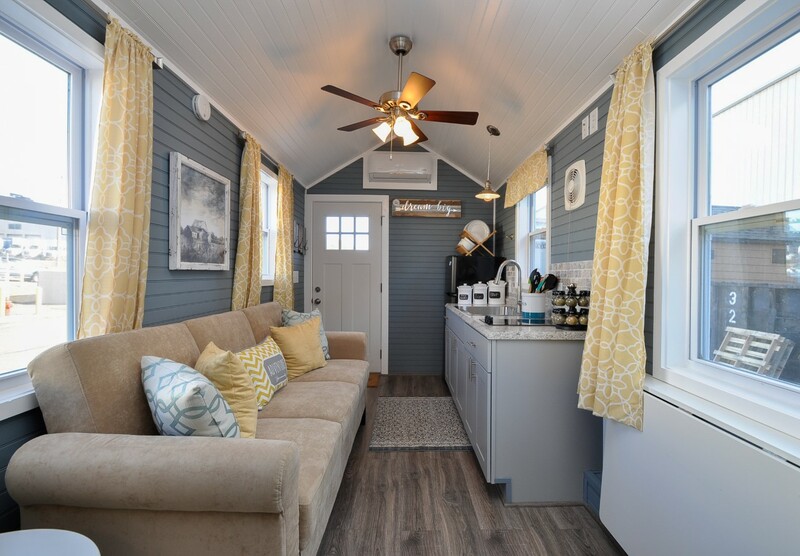 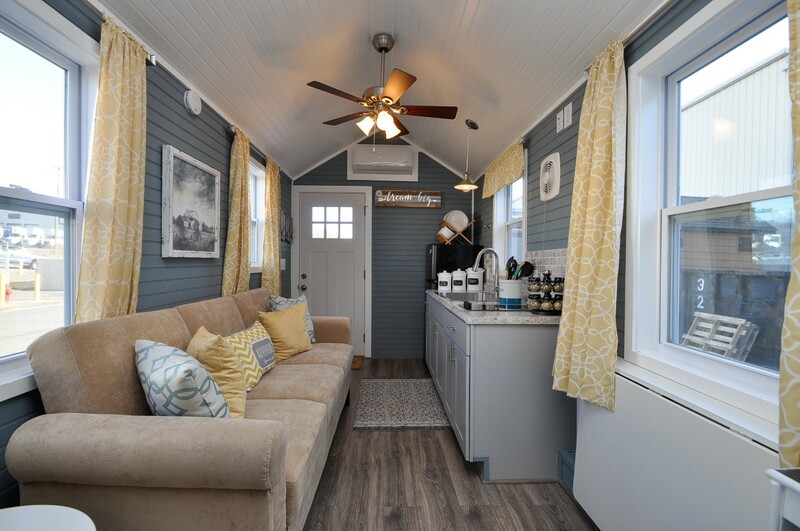 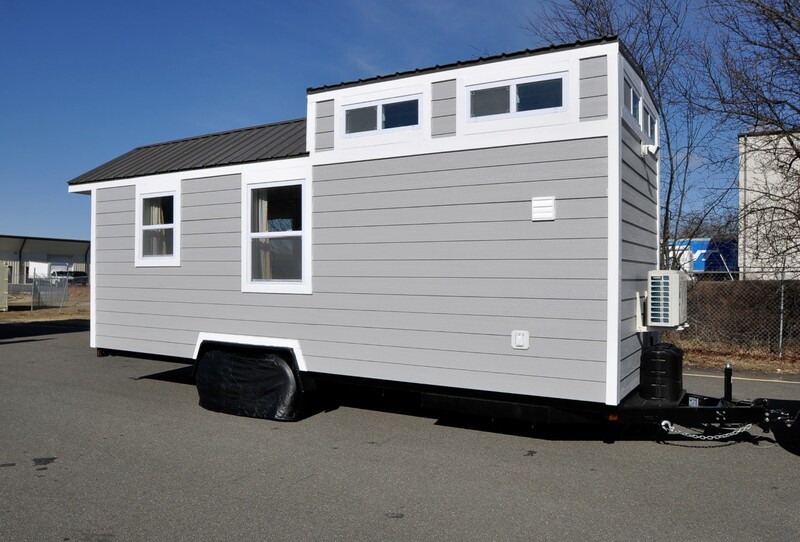 From Tiny House Building Company is the Laurel: a charming 272-sq-ft home with everything you need to live comfortably. The home's kitchen features custom gray cabinets, a large 33" drop-in stainless steel sink with a gourmet faucet, a fridge, two-burner induction cooktop, laminate countertops, a custom backsplash, and a drop-down dining table. 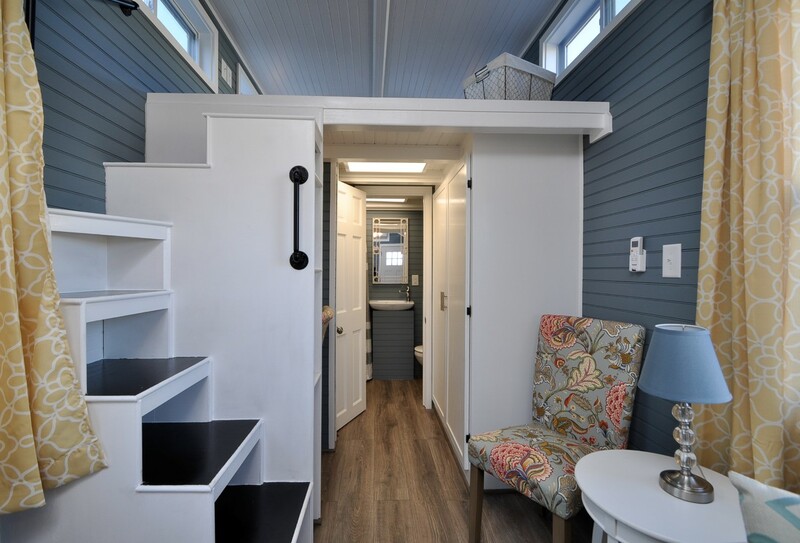 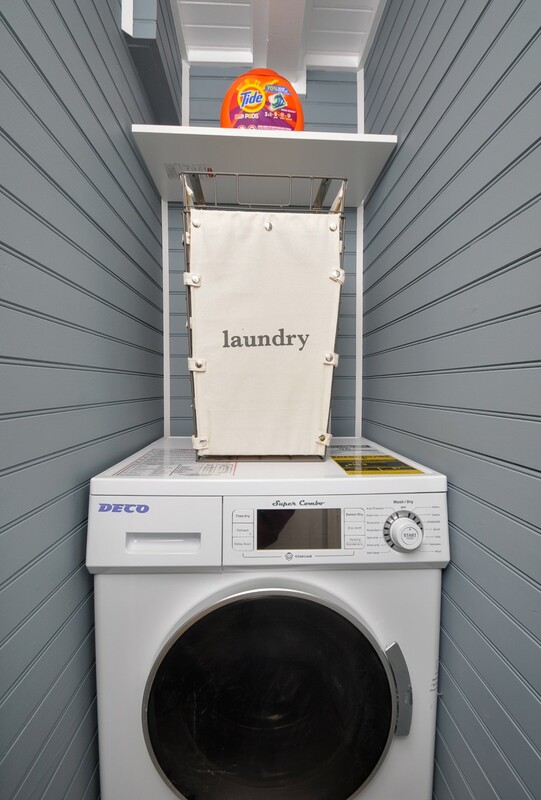 There's also a living room with a spacious closet, and a laundry area with a washer/dryer unit. 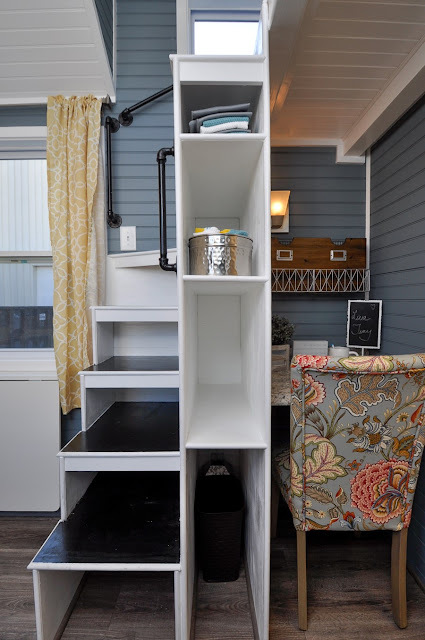 A small home office is also provided with built-in shelving! 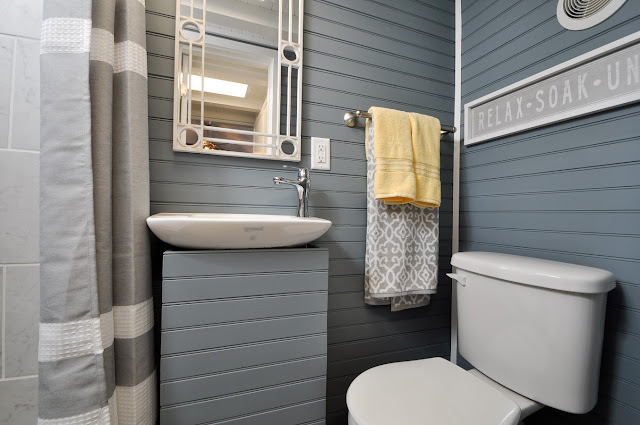 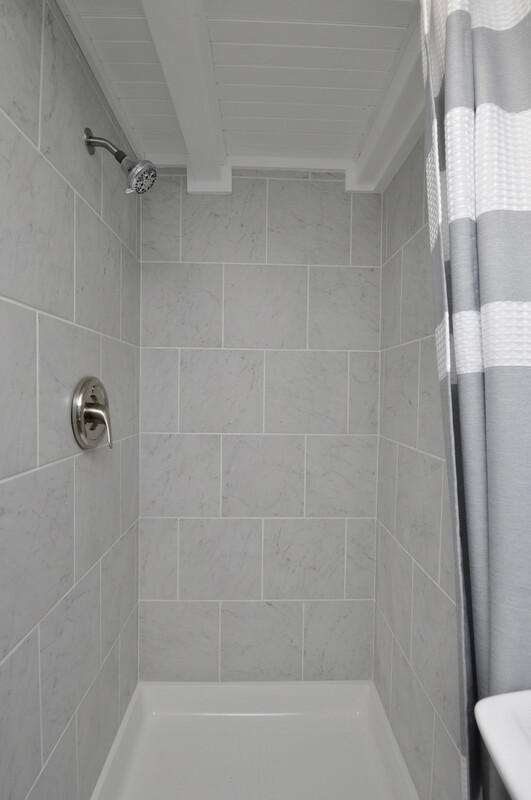 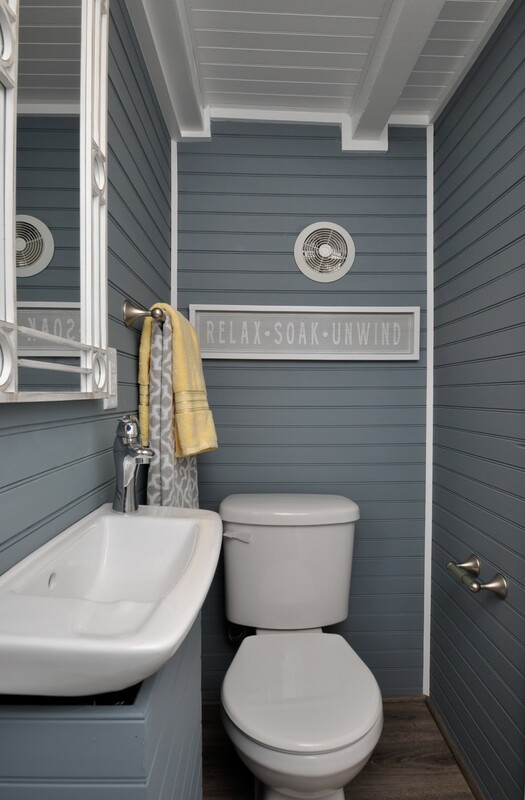 The bathroom comes with a 36" x 36" tiled shower, a standard toilet, and a cuztomized vanity with a sink. 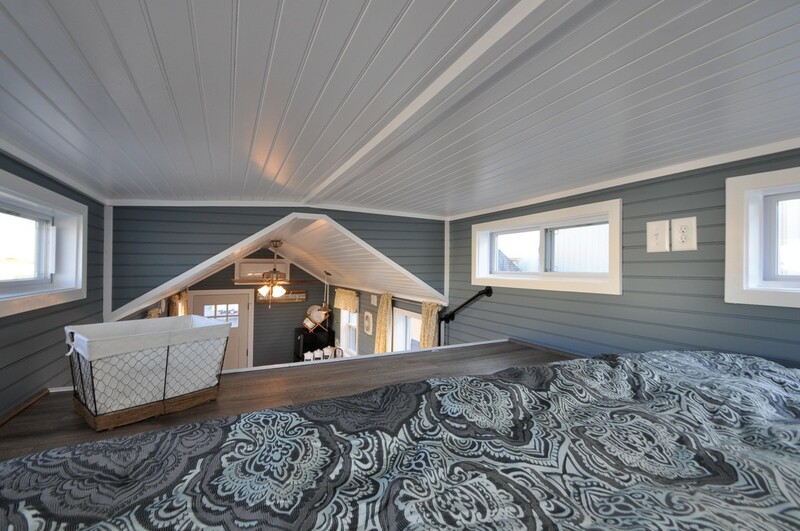 Upstairs, via built-in stairs, is a king-sized loft bedroom with windows and wall scones to keep the space well illuminated at all times. 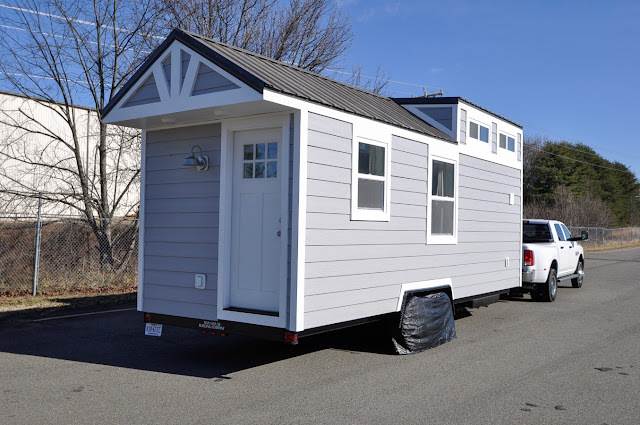 The price for the Laurel is $79,9000. 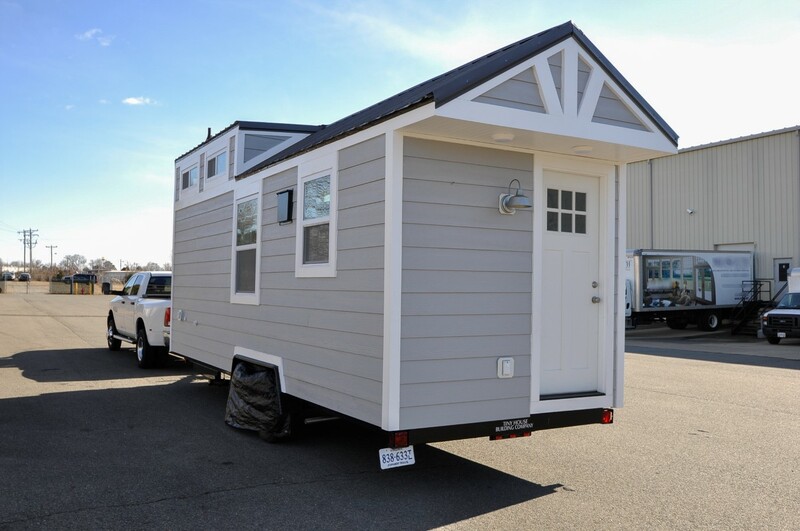 Contact Tiny House Building Company here for any more info and/or inquires!